Pedestrians all over the world have met them on the pavement already: autonomous delivery robots. Boxes on wheels, equipped with sensors, intelligent software and powerful motors. Developed to travel from A to B autonomously and reliably, without obstructing or endangering anyone. Although the vehicles spotted are prototypes, it is quite possible that autonomous delivery robots will soon be a common sight – as part of the cities of tomorrow. However, the first steps – or turns of the wheel – in this direction are being made far away from the big cities: In Saas-Fee, a small village at the foot of the highest mountains in Switzerland. Here combustion engines are prohibited. Ideal requirements for testing electrically driven ideas. Torsten Scholl is a true entrepreneur who tackles everyday problems. In 2014, he founded TeleRetail with the aim of solving the logistical problems of local businesses. Scholl describes himself as an entrepreneur. He tackled a wellknown phenomenon accordingly: “Today people mainly order online; the local businesses have to rise to the occasion, else they will soon vanish.” That is how he got the idea for an online sales network for the local trade. People can conveniently order their bread, milk and other goods online and have it delivered to their homes – by bicycle courier or, in future, by robot. Now the task is to get the delivery robot fit for use. To this end, TeleRetail works closely with various industrial partners. Since fall 2016, the company has been cooperating with maxon motor as well. “Together with the engineers of maxon, we ran through different approaches to find the optimal solution. Technical challenges are one thing. Another is changes to laws. 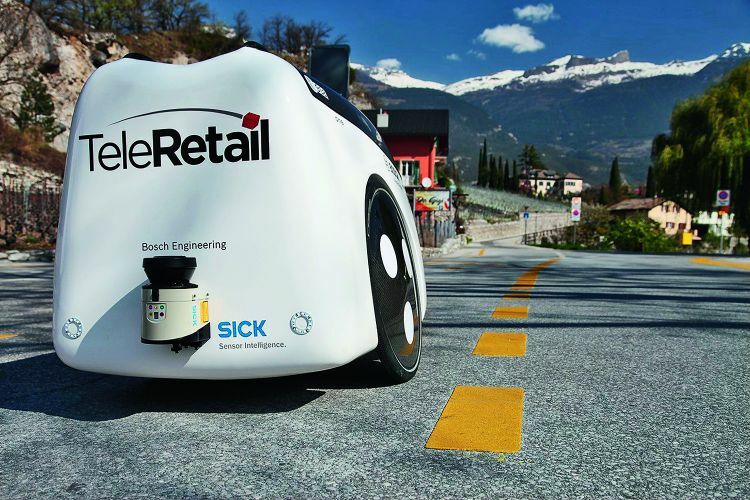 Currently autonomous delivery robots can only move around in towns such as Saas-Fee with special permits. Scholl estimates that it will take another five years before the laws are adapted. In some countries, it might go faster. One thing is certain: Sooner or later, delivery robots will be a regular fixture in our normal lives. 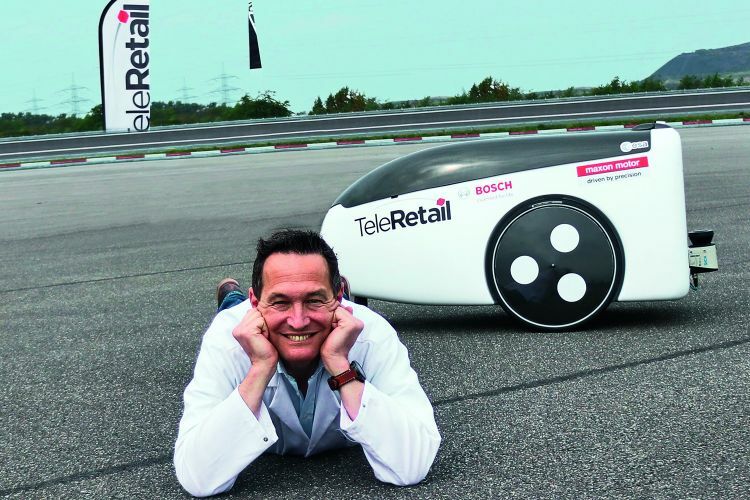 Receiving goods by delivery robot – soon a common sight in everyday life, not only in Saas-Fee?